Delivering Hope, an umbrella program for the Bristol-Myers Squibb Foundation's efforts in the areas of hepatitis B and C awareness, prevention and care, has supported efforts in Asia since 2002. Delivering Hope has active projects in mainland China, Taiwan, Japan and India. 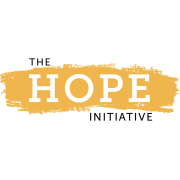 Delivering Hope™: Awareness, Prevention and Care is a comprehensive effort to fight HBV and HCV in Asia, sponsored by the Bristol-Myers Squibb Foundation. Delivering Hope draws upon the proven models created by the Foundation's work on HIV/AIDS in Africa to address a major health care challenge in resource-constrained settings. The Foundation and its partners in China and India are working to increase hepatitis awareness among the general population and lay health care workers, especially in remote, rural areas. Efforts include disease education, vaccination and programs to help prevent mother-to-child transmissions, which are the most common means of transmission of hepatitis. Delivering Hope focuses on children as a way of building family and community awareness. funding operational research to develop data and demonstration projects that generate best practices to be shared, adapted and applied in the future. These efforts are helping to develop a portfolio of projects that aims to raise the profile of the disease in Asia, inform health policy and national programs, build institutional and community capacity, and target prevention in the hardest-hit populations including children, blood donors and health care professionals. Since 2002, the Foundation has awarded grants to 19 organizations totalling USD 14 million to organizations working to reduce hepatitis-related health disparities in Asia. To date, Delivering Hope has supported50 program grants across Asia, specifically 20 grants in mainland China, three in Taiwan, 22 in India and five in Japan. Bristol-Myers Squibb is a global biopharmaceutical company whose mission is to discover, develop and deliver innovative medicines that help patients prevail against serious diseases. Around the world, our medicines are helping millions of patients in their fight against such diseases as cancer, cardiovascular disease, diabetes, hepatitis B, HIV/AIDS, psychiatric disorders and rheumatoid arthritis. Additionally, our philanthropic programs have given new hope to some of the world’s most vulnerable communities and the preservation of our natural resources represents one of our key commitments. Our BioPharma strategy uniquely combines the best elements of a traditional pharmaceutical company with the entrepreneurial spirit and agility of a leading-edge biotech company – and our strategy is working. Since 2002, we have delivered 13 key new products to patients with serious diseases, four of these medicines are biologic products, and our pipeline continues to deliver. In 2011, we received approvals for three new medicines – an impressive number for a single year; and we outperformed most big pharma companies, diversified companies and pure biotech companies. Additional biologic compounds – as well as scores of other investigational medicines – are advancing through our development pipeline and we are recognized as having one of the most productive pipelines in the industry. Research is at the forefront of the drug discovery and development process at Bristol-Myers Squibb. Our goal is to discover novel medicines that will benefit patients with serious unmet medical needs and develop these to Proof of Confidence (POC). We are drug hunters, we seek to design and deliver a robust pipeline of high quality drug candidates driven by internal Discovery efforts and enhanced by both external partnerships and our String of Pearl transactions. Research begins with the identification and validation of new biological targets involved in disease processes by using screening technologies to discover candidate compounds that can modulate the target and change the pathological process. Promising candidate compounds (both small molecules and biologics), undergo drug design and optimization before entering non-clinical safety testing. In addition to understanding potential toxicity issues of all drug candidates, metabolism and pharmaceutical acceptability are studied and structural alterations are made by medicinal chemists striving to produce candidate drugs with favorable benefit/risk profiles. Our early development group conducts studies to characterize the profile of a new medicine in the human body, which is the first step in establishing whether it will be safe and effective for patients. The first studies in humans establish how the new medicine is absorbed and distributed by the body. A safe dosage is established and side effects are monitored. We also study pharmacological profiles for all phases of clinical research. Medical care is becoming increasingly more personalized as our understanding of diseases at the molecular level has advanced, and we use advanced technologies to identify biomarkers, and develop assays for the use of these biomarkers in clinical studies. Scientific innovation is a keystone of our culture, and this is incorporated into all our efforts. In BMS Research we have world class scientific expertise in both disease areas and technology platforms. We welcome motivated, innovative, curious scientists who enjoy working in diverse collaborative teams to achieve Bristol-Myers Squibb’s mission to develop and deliver drug therapies to help patients prevail over serious unmet medical needs. The AmeriCares India Foundation is a public charitable trust registered in 2006 at New Delhi. They provide medical aid in India and in neighboring countries, irrespective of race, creed or political persuasion. In that capacity, they have operated in twenty one states and two union territories across India. Over the last two years, they have already delivered more than Rs 21 Crores worth of free essential medicines and medical assistance to more than 80 affiliate partners (charity hospitals and community medical programs). AmeriCares India Foundation also accomplishes its mission by operating medical camps in urban slums and rural tribal areas. Their mobile medical camps provide free medical consultation and free quality medicines to urban slums and rural poor. In addition they raise awareness about disease prevention, health promotion programs, educate children on the importance of proper hygiene techniques. As a disaster relief organization they respond to all major disasters such as the earthquakes ( e.g. Sikkim 2011), floods (e.g. Orissa 2011), avalanches (e.g. Jammu & Kashmir 2012) or cyclones (e.g. West Bengal 2010). Their disaster preparedness workshops have given first responders, lay people and healthcare professionals training that enabled them to take timely and effective action during emergencies. They also conduct disaster medical training programs for hospitals – preparing them for both internal and external emergencies. This work is made possible by soliciting donations of cash, medicines, medical supplies and other relief materials from Indian and multinational pharmaceutical manufacturers based in India. Their modern warehouse and prepositioned stock enables them to mount an immediate response and deliver aid quickly to those in need. The Baptist Christian Hospital, Tezpur is a 150 bedded secondary care hospital in the North eastern state of Assam in India. The hospital is a unit of the Emmanuel Hospital Association, New Delhi. The hospital was set up in 1954 as a small dispensary and slowly grew to be the best health care provider in this part of Assam. The team of 317 personnel are dedicated to quality health care at an affordable cost. The hospital is also known for its academic and research initiatives and is involved in various national and international research. The community health and development department is involved in meeting the needs of the community with programs including People with Disabilities, Hepatitis B awareness and vaccination, Primary Prevention of Trafficking of women and children and the Health and Education of Street Children.The hospital is registered under the National Trust and Persons with Disabilities Act. Shanghai Charity Foundation is a public non-profit organization approved by Shanghai non-government organization registration authorities. Shanghai Charity Foundation raises funds, organizes charitable activities and promotes philanthropy to aid orphans, street children, widows and widowers, and the disabled. The foundation is also the United Way affiliate in Shanghai. 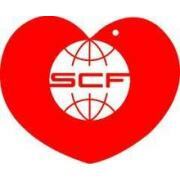 So far, SCF has raised 6.32 billion RMB and expended 4.79 billion RMB, benefiting over 4 million people in difficulties. SCF has been awarded as Shanghai Model Institution repeatedly and is one of the first batch of AAAAA social organizations. It was also listed among the top 25 transparent foundations in China on Forbes both in 2011 and 2012. 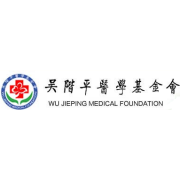 Wu Jie Ping Medical Foundation, approved by Ministry of Health and Ministry of Civil Affairs, PRC, is a non-public offering foundation. It was formally established in Beijing on February 28th 2002. It is a non-governmental organization and directly responsible for Ministry of Health. Before it was called Wu Jie Ping Urogological Department of Medical Foundation. And it was founded in 1995 as it has been called for and backed by one of Wu Jieping ’s relatives named MS Wu Shunwen who was chairman of Taiwan Yulon Group and other relatives and friends at home and abroad. Besides, it has been strongly supported by a lot of organizations and individuals from mainland China, Hong Kong, Macao, Taiwan, the U.S. and Singapore. Consequently, Wu Jie Ping Medical Foundation becomes one of the earliest and most influential organizations in China. Now, its honorary President is professor Han Qide who is also vice chairman of the National People’s Congress Committee, president of China Association for Science and Technology, chairman of Jiu San Society, Academician of Chinese Academy of sciences. And MS Yang Xiaomeng acts as chairman of the council. There are three subordinate departments: General Office, Finance Department, and External Affairs Department. And liver department, directly affiliated to Medical Foundation, serves as one of its operating departments. After its foundation, Wu Jie Ping Medical Foundation has made a lot of progress in such fields: it supported medical research and academic exchanges and motivated a variety of doctors to improve their vocational skills; it also provided vocational training and other subjects’ training; it held some charitable activities and popularization of science; and it participated in researching and developing TCM by cooperating with some enterprises to attract special funds. Simultaneously, Wu Jie Ping Medical Foundation has made great contributions in medicine and health. 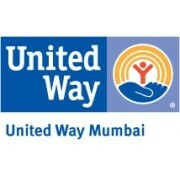 United Way of Mumbai (UWM) is a non-profit organization that endeavours to leverage corporate, employee and leadership talent for community development. Through corporate gifts and employee giving campaigns, United Way of Mumbai seeks to successfully engage the corporate sector into meaningful Social Responsibility structures bringing about a positive and lasting change in the communities. UWM is a chapter of United Way Worldwide, which tops the list of the worlds 15 largest charities. With a presence in 41 countries with 1800 local affiliates collectively raising more than USD 5.2 Billion annually, from 11 million donors and 2.5 million volunteers, United Way Worldwide is not only the largest non-profit, but an integral part of communities around the world. 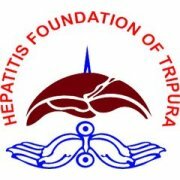 Hepatitis Foundation of Tripura or HFT, an organization dedicated to work primarily in the field of liver disease & gradually, extending its zone of activities to many other health programs with the basic idea to develop mass awareness regarding health problem. The organization was brought into the day light on 28th July, 2002 by the few members from different profession & position. The initial target was to arm people of Tripura with correct scientific knowledge about Hepatitis and Jaundice, so as to prevent unscrupulous practice of vaccination against Hepatitis B by the money mongers & Pseudo- social workers and to remove false believe and taboo about jaundice among common people. HOPE Initiative – Health Oriented Programmes and Education, was established in November 2004, with the mission is to help create awareness, discover, share new information and adopt innovative strategies to promote health of students, their families and society. Since 2004, HOPE has been progressing in leaps and bounds and has touched the lives of nearly 3 million students and their families from 6000 schools either directly through programmes and events or by training and equipping teachers to become the “health promoters” of their institutions. 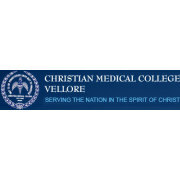 Christian Medical College and Hospital, Vellore (CMC Vellore) is an educational and research institute and a tertiary care hospital located at Vellore, Tamil Nadu, India. It is one of the prominent and well known medical destinations in India, having reputations nationally and internationally. It is also one of the top ranked medical colleges in India. Liver diseases have never received due attention among the mass in their country compared to afflictions of other organ systems of the body with its concern on health care delivery and resource utilization in public health issues. For a lay man, health problems are given the prior importance when the person is really suffering physically from the related symptoms of that disorder either visibly agonizing or has turned into a massive dysfunction. Liver Foundation West Bengal aims at reaching the mass and increase awareness in liver health problems and associated disorders, with the purpose of reducing liver disorders in India, with proper access to medical science, focusing on liver diseases but also at a wider scale in public health. They aim to enhance the quality of life and try to reduce the burden of liver disease in India through prevention, education, advocacy, improved care and promotion of concepts in public health. They pledge to surge ahead remaining in their cultural inheritance with the philosophy of welfare, keeping in focus the priorities of our country. Liver, its diseases, care & treatment, above all liver transplantation, has always remained out of the reach of the common people. Liver Foundation West Bengal´s primary focus is to take benefits of the advancement of medical sciences to the socio-economically backward section soft the society. To facilitate the availability of the technology-dense advanced medical care in liver diseases to people who are unable to afford it.